Internet is the gigantic network which connects computers all over the world. It initially originated from military and scholastic industry. However, as personal computers were developed and distributed in 1980s, internet got developed dramatically. Especially the development of World Wide Web and web browsers helped public users easily use internet, which played the most important role in generalization of internet. It followed by that internet became the critical space for business, shopping, games, education and communication for everyone in the world. Data shows that number of Internet users in Korea to be over 34 million in the year of 2014. It means that the ratio of Internet users to the net population to be over 81.1%. Such record proves outstanding social power of internet on the society. Over the half of whole population in China, 6 billion people, spends average time of three hours a day on the net, New China News Agency report. The article explains the size and power of internet in numeric data. Internet brought a fundamental change into the ways to deliver and share information. News and issues get spread almost real time and they are being discussed globally through blogs, forum, and SNS. People replace offline gatherings with online meetings for their social relationship. However, there also is a voice which concerns that convenience of Internet destroys the quality of human life overall. Various research results report the critical conclusion that relationships in internet cut the possibility from positive meeting among real humans and they moreover lead such relationship to be distorted in negative direction. Of course there is a voice supporting the function and benefits of Internet in which it leads our lives to be better. Is internet truly an evil tool which hinders healthy development of our society? a. Internet can be always distorted. Internet is the most powerful space where one can acquire information these days. However, online information is full of unverified contents as well as newspaper, books, TV programs. Most of all, the existence of false information made up for the political purpose has been proved to be the biggest cause creating confusion within our society. Furthermore, once falsely released information cannot be ever rectified on the web, which is the most dangerous harm about the Internet. b. Exposure of one’s private life cannot be stopped. Everyone’s personal information is on the Internet. Regardless of its reasons behind it including unethical business deals or harmless collection, all of our information can be exposed to others. Not only information on our official information but our private life which we want hidden or uncovered also became publicized and even got distorted. After all, such weakness leads us to worry about creation of “Big Brother”, which has great potential to become the greatest harm of Internet. a. Internet helps democracy to grow. Internet is the most effective and most strong communication method through which everyone can reach. In the past, only a few limited people of class and position could practice political power, which caused many harmful cases where democracy got distorted and dictatorship ruled. However, Internet currently plays a role which monitors such dictatorship or concentration of one’s overrule. We should take time to think about why despotic states including North Korea control Internet so heavily. b. Internet brings economic abundance and creative development. Internet is the one and only source where economic exchanges can be made among every nation in the world. It proposes various opportunities and much potential for nations as well as individuals grow economically. In terms of work, such team projects can be effectively managed since there is no barrier in time or place. These benefits from internet development helped to lower the price of merchandises since maximization on efficiency brought revolution of economic system. In conclusion, the benefits of digital era helps quality of everyone’s life become higher and better. 제가 어렸을 때는 각 집마다 굉장히 두꺼운 전화번호부가 한 권씩 있었습니다. 어디서든 쉽게 구할 수 있던 책자라서 집에서 몇권을 찢어본 경험이 있습니다. 친구 어머니와 통화하는게 어려운 일이 아니었고, 어린 나이에도 어머니에게 안부를 물었으며 그 친구에 대해 더 많이 알고있다는 생각이 들게 도왔습니다. 하지만, 인터넷이 발달하면서 우리는 친구 어머니를 거치지 않더라도 그 친구와 언제든 연락할 수 있으며 돈이나 많은 에너지를 들이지 않더라도 영상 통화를 통해 그 친구의 얼굴을 만나볼 수 있습니다. 그래서, 여러분은 지금 그 친구와 더 가까워 지셨습니까? 직접 대면하지 않고도 진심이 통한다고 생각하십니까? 목소리의 떨림을 느낄 수 있었습니다. 없고, 좋아하는 마음을 편지로 고백하여 몇일 뒤에 상대방이 받아볼지, 언제 쯤 내게 답장이 돌아올지 기다리며 몇일 밤을 세어 본 그런 낭만이 부족해졌습니다. 인터넷 발달이 소통을 편리하게 만들었지만, 소통이 가지고 있는 그 고유한 가치를 잊어버리게 만드는 게 아닐까 우려가 됩니다. 쉽게만 생각했던 친구와의 카톡이 SNS 대화창이 과연 상대방으로 하여금 나의 진심을 느낄 수 있게하는 적합한 전달 매체인가를 고민해보았으면 좋겠습니다. 흠, 무엇을 말씀하시는지 확 와닿지는 않습니다만, 과거 향수가 그리워서 인터넷은 적합한 매체가 아니라고 말씀하시는 것 같습니다. 인터넷을 통해 끼치는 해가 무엇인지에 대한 의견이 나와야 할 것 같습니다. 예를 들면 앞의 설명에서처럼 인터넷이 존재하는 한 사생활의 노출은 피할 수 없다던지, 인터넷은 왜곡된 정보도 제공한다던지 등의 내용일 것 같습니다. 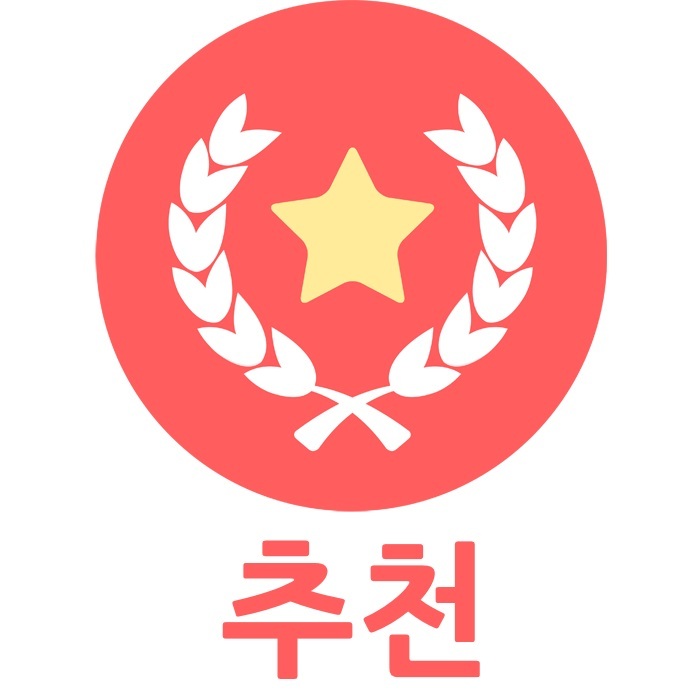 인터넷의 긍정적 효과와 부정적 효과 둘다 있겠지만 긍정적인 부분이 훨씬 크다고 생각한다. 하지만 위에 지문에서 나온 지적도 굉장히 공감한다. 그렇다고 해서 인터넷이 주는 긍정적인보다 부정적 영향이 크다고 보는 건 인정하지 못하겠다. 인터넷이 가져다준 긍적적 영향이 너무너무 커서 일일이 다 말할 수도 없기 때문이다. 인테넷으로 정보를 쉽고 빠르게 얻을수있습니다. 인터넷은 사실 군사망에서 출발한 기술의 한가지가 대중에게 보급된 형태입니다. 데이터 및 정보를 전송하는게 유일한 용도죠. 이 인터넷의 보급을 통해 문명은 더욱 발전할 수 있었고, 꽤 많은 부분(나아가, 지금의 IT 엔지니어들은 모든 사물에 적용하려 합니다)에 이미 인터넷이 적용되어 있습니다. 인터넷이 개인간의 고립을 유도한다기 보단, 인터넷을 쓰는 사람들이 개인간의 고립을 자아냈다고 보는것이 맞겠죠. 물론 옳지 않으면 안 하면 되지만, 그게 가능했다면 사다리 걷어차기 같은 보수적인 행위들이 전부 사라졌을겁니다. 사람 자체가 문제지 인터넷이 문제가 되는게 아니므로, 인터넷은 사회 발전을 저해하는 도구는 아니라는것이 제 입장입니다.